It was a beautiful summer day. Despite the high season, in the middle of the week, there were not many people at Lake Bohinj. Those who were spending their vacation on the lake shores were pleasantly surprised when they saw a beautiful couple ready to get married. The peaceful and relaxing atmosphere with breath-taking beauty of nature was a perfect background for wedding photos. 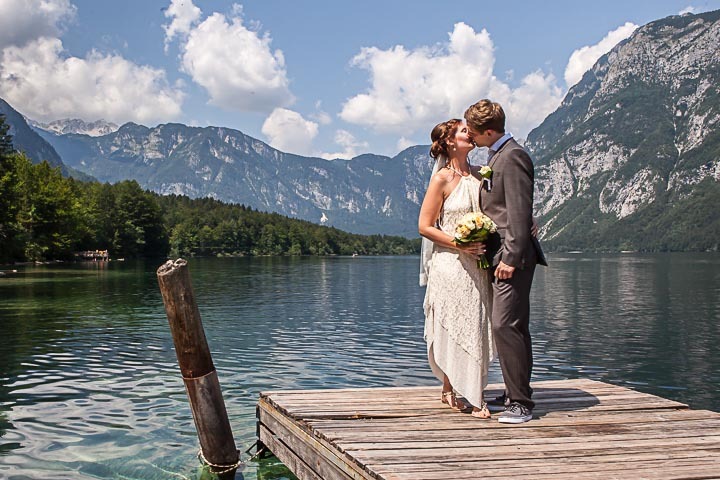 The official part, the civil wedding ceremony was later held at Lake Bled, another pearl of Alpine world. 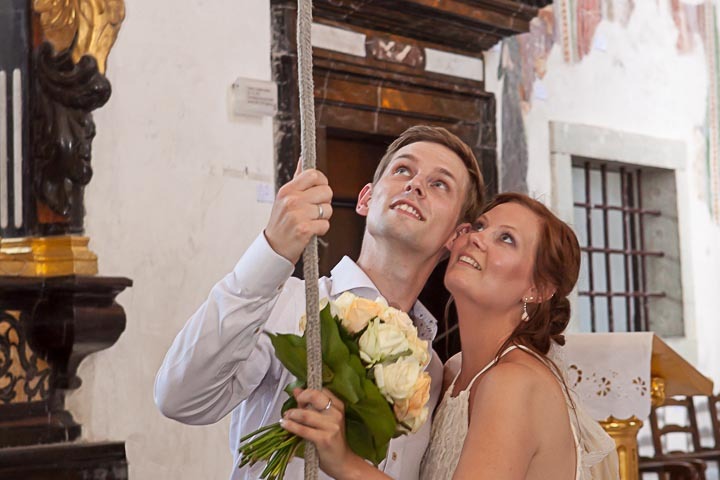 Indispensable trip to the Island and “must be” caring the bride up the stairs and ringing the wish bell in the church for luck, completed a perfect wedding day.